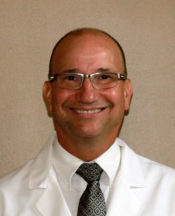 Dr. George Alexander was born in New Orleans and grew up in Russellville, Arkansas. He graduated from Russellville High School in 1975. He then attended University of Arkansas graduating in 1980. After Dr. Alexander attended LSU School of Dentistry. He graduated in 1984 and spent the next two years in a general practice residency at Charity Hospital in New Orleans. Dr. Alexander practiced in New Orleans for a few years before moving to Mountain Home. He took over the current dental practice in Cotter in 1989. 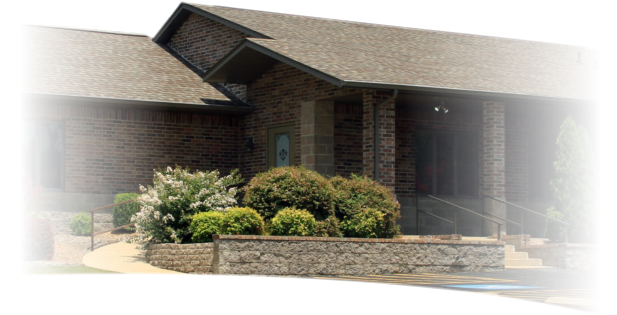 Dr Alexander is a member of the American Dental Association, Arkansas State dental Association and the Pierre Fauchard Academy. Dr. Alexander has been married since 2011 to his wife Christine. She is an Advanced Nurse Practitioner for Regional Family Medicine in Mountain Home. They have three grown children, Chris, Kayleigh, and Andrew. His emphasis on patient comfort as well as keeping up-to-date with the latest advancements in dentistry enable him to provide his patients with the best quality of care in the field. Dr. George Alexander has a wide range of experience in different areas of dentistry, from cosmetic and restorative dentistry to surgical treatments and root canal treatments. "I am proud to provide my patients with the best in dental technology, treatment options and patient comfort. 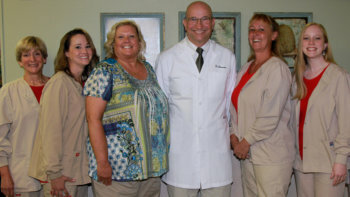 We welcome you to our advanced dental office in Cotter. It is my pleasure to address all your questions and concerns." Samantha has worked in the dental profession since 2001 when she originally started with Dr. Alexander. She has an Associate of Arts degree from ASUMH. She is a Registered Dental Assistant and in 2008 became a Certified Dental Assistant. She has worked for Dr. Alexander this time since 2009. She is married and has a daughter. She enjoys mountain biking, skiing and camping. Rhonda graduated from Tarrant County Dental Hygiene School in 1977. She has worked for Dr Alexander since 1998. She is married and has 2 grown children. In her spare time she enjoys gardening, kayaking and horseback riding. Sandra graduated from the University of Arkansas for medical sciences with her Bachelor of Science degree in dental hygiene in 2013. She has worked with Dr. Alexander since 2015. Sandra and her husband, Jesse, have two beautiful daughters. When she is not at work, Sandra enjoys spending time with her family and friends. Susan has worked in the dental profession since 1980. She has worked for Dr. Alexander since 2009. She moved to Arkansas from California in 2004. Susan is married and has 2 grown daughters and a grandson. In her spare time she enjoys family and friends. Carol is a Registered Dental Assistant. She has worked with Dr. Alexander since 2007.She is married and has 2 daughters Rachel and Lisa and 2 grandchildren. She enjoys fishing and spending time with her family.